Price’s Alarms has spent a lot of time in recent years developing the Systems Division within Price’s Alarms which supplies Security Cameras, Access Control Systems and Intercoms. We are pleased to announce a new partnership with Interlogix to carry the TruVision line-up of Analog and IP Cameras, Recorders and Software. Price’s Alarms has had a long-standing relationship with Interlogix for Intrusions products featuring brands under the GE name like ITI, Networx (NX) and Simon. After several months of testing and evaluation, our Systems Division team is extremely excited to move forward and offer the TruVision line of CCTV solutions throughout all of or service areas within British Columbia. Interlogix TruVision CCTV products allow us to address the modern-day video surveillance challenges in even the most demanding of security environments. From front-line surveillance to back-end storage solutions, we now have you covered. 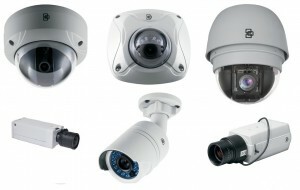 Both analog and IP cameras allow us to match our solutions specifically to your needs, whether it pricing, quality, PTZ, infrared, fixed or covert options that deliver superior optical quality for a variety of indoor and outdoor applications. 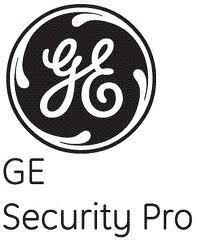 Price’s Alarms has been the only BC based GE/Interlogix Security Pro Dealer to date and we are so pleased to now offer this exceptional line up of CCTV products that match our expectations for quality, selection and support. TruVision has been the solution for surveillance at a world-class level for customers like Amarillo National Bank in Texas, the NYC Ferry System and even cake making superstars at Carlos Bakery. If you have a need for Security Surveillance Systems on Vancouver Island, the BC Lower Mainland or Okanagan, give us a call at Price’s Alarms and ask to speak with our Systems Division about your Security. We would be pleased to come out and see you at your location and discuss the right solutions to meet your needs from Interlogix TruVision and the local expertise of Price’s Alarms.